Back in '99, when this little keg was introduced, Mr. Beer had no idea just how much it would impact the future of homebrewing. It has affectionately been dubbed the LBK, or "Little Brown Keg," by its followers... and there are plenty of followers out there!  Mr. Beer has shipped over 2 million of these fermenters around the globe in an ever-increasing rate as the proliferation of homebrewing continues. Each LBK is a completely reusable designed fermenter which minimizes yeast transfer and has a unique venting system. The LBK makes 2 gallons of award-winning beer every time you brew. Since it is not made of glass, this fermenter is lightweight and can withstand much more abuse than your typical glass carboy. No need to worry about dropping this little guy! The LBK is made from an industry leading and durable BPA and phalalate free plastic that imparts zero flavor to the beer. 1 Brown Fermenter *New and Improved Wide Mouth for better cleaning!